With the advancement in telematics for all vehicles and not just the trucking industry, lives, time, and money are saved. Drivers get to their destination more efficiently, can plan better, and have information at their fingertips. As a result, two of the most sought-after pieces of information — traffic and weather — are beginning to expand in new and interesting ways. In a study of 14,000 car drivers, mapping apps was the number one choice and weather apps were the number two choice for vehicle apps. It should come as no surprise that truck drivers would likely agree with those results. For owner-operators and fleets, time is money, and knowing the local weather and road conditions would save both time and money. The technology is still new, and it’s not widely available yet, but interesting things are happening in telematics that will impact the trucking industry. Weather telematic programs are using archived weather data and current weather information to forecast weather conditions on the road that are highly accurate. 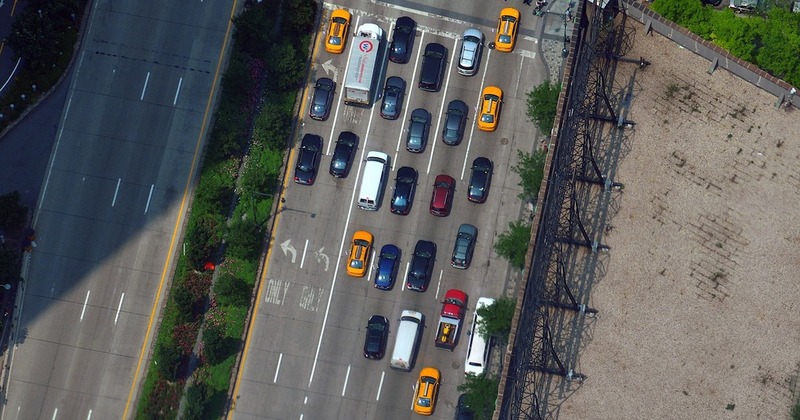 Traffic data, both real-time and archived, is being used to predict the nature of the roads ahead. Land surface conditions, temperatures, and other pieces of information are being used to predict driving conditions with better degrees of accuracy. As the technology continues to improve, it will become more widely available. The more information we have at our fingertips, the more efficiently product moves across the country and down the road while using less fuel and spending less money. Current telematics already help fleets reduce their fuel costs by up to 25 percent and reduce idle time by approximately 30 percent. With accurate forecasting of the mile or the day ahead, fleets and owner-operators will continue to see marked improvement. Future apps and technology advancements will allow you to plan your route based on accurate weather conditions three days in advance. The result will be improved fleet routing, better scheduling, and greater efficiencies. With the information provided by road condition and weather telematics, driver and dispatch alike will be able to make better decisions and have more accurate timelines and information for customers. The future is coming, and in some cases, the future is already here. With additional data as well as newer and faster technologies, drivers and fleets will have better information at your fingertips. Gone will be the days of estimating arrivals, not knowing what your driver is experiencing on the road, and unforeseen delays. The expanding world of telematics gives the trucking industry greater control at lower costs. Looking for an efficient ELD and fleet management system for your drivers? Gorilla Safety makes it easy and affordable to switch. Use our plug and play system and access information and the ELD from a smartphone. New technology shouldn’t be difficult to use. Esta entrada fue publicada en Telematics. Guarda el permalink.